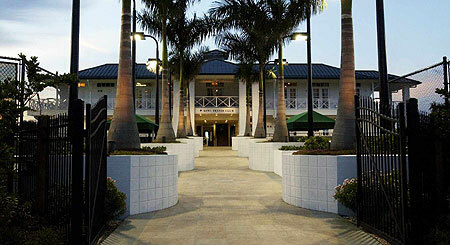 The first-ever Pro-Circuit event in Brevard County will take place at the Kiwi Tennis Club in Indian Harbour Beach May 7-14! The 2006 MIMA Foundation/ USTA Tennis Classic, a Women’s $50,000 Challenger, is brought to you by the MIMA Foundation of Brevard, Inc., the United States Tennis Association and Kiwi Tennis Club. All proceeds from the tournament will benefit the Brevard MIMA Foundation, a 501 (c) 3 organization that funds scholarships for Brevard County students pursuing careers in health care. Brevard County residents, come see some great tennis in your own backyard! Former top-10 player Brenda Schutz-McCarthy will make her comeback at the Kiwi Tennis Club next month. A number of community events are planned for the week: USTA Kids’ Day, Wheelchair Tennis Exhibition, Pro-Am Tournament, community outreach initiative, Wilson Demo Day, Mother’s Day brunch, Player’s Party and more! Former WTA player Tracy Singian and her sister, USTA Florida Community Coordinator Trina Singian, are working very hard to bring this week-long tennis event to Brevard County. Tracy and Murray Lilley are partnering as Tournament Directors. Local businesses and organizations have been supportive in helping Tracy and Trina put this tournament and the community events together. Professional players and local volunteers will help with the community events the week of the tournament. Trina said players will also help the community outreach initiative by doing school visits to serve as inspirational role models to the children.